For many years dentists have insisted that cavities simply cannot be reversed. However, according to the works of the late Dr. Weston Price and others, this simply is not true. Since the time of Dr. Price, many new discoveries have been made about tooth decay. So what actually causes tooth decay, and what can you do about it? Cavities are generally caused by a plaque from food in the mouth attacking the teeth. But why do some people get cavities and not others? And why can a person who didn’t get cavities suddenly start? Price claims that this happens due to nutrient deficiency, making teeth unable to remineralize. Lack of minerals in the diet. Lack of fat-soluble vitamins (A, D, E, and K). Nutrients not being bioavailable, and an intestinal system that is not absorbing them properly, largely due to the presence of phytic acid in the diet and intestines. Many of us are lacking essential minerals in our diets. The standard American diet doesn’t quite fully meet the needs of our bodies. As a result, cavities are a major problem. This is one of the largest causes of tooth decay. One of the most important minerals you may be lacking in magnesium. Magnesium can not only sooth the neuroaffect circuit of the NeuroEndoMetabolic (NEM) Stress Response, but it is very important for the health of the heart, making it beneficial to the cardiotonic circuit as well. Magnesium is necessary for the proper binding and utilization of calcium. Without magnesium, calcium will not be used properly and will simply be released as waste from the body. Fat-soluble vitamins are just as important as minerals. Like many other nutrients, many people lack fat-soluble vitamins A, D, E and K in their diets. These vitamins are essential building blocks in our bodies and impact all circuits of the NEM. That is why it is important to consume foods that are dense in these vitamins in order to rebuild teeth. Phytic acid is the storage form of phosphorus. It is known as an anti-nutrient because it binds to minerals in the digestive tract and locks them in a form that the body cannot readily digest. This action causes poor nutrient absorption, which means that your body is being robbed of the nutrients that it needs to live. Phytic acid is contained in all plants, but the amounts vary greatly depending on the plant. This means that vegans and vegetarians should be more aware of their phytic acid intake, than the person on the standard American diet. Soaking: Cereal grains and legumes should be soaked overnight. This will reduce phytate content. Sprouting: Sprout seeds, legumes, and grains whenever possible. The process of sprouting seeds causes a degradation of phytate. For example, sprouted quinoa has 98% less phytic acid than unsprouted. Fermentation: The organic acids which are formed during fermentation, promote phytate breakdown. In particular, lactic acid fermentation is thought to be most effective. Avoiding phytate intake is essential not only in preventing cavities but other effects of malnutrition in general. Malnutrition can wreak havoc on the body, and all circuits of the NEM. It is absolutely critical to maintaining healthy levels of nutrient absorption. It doesn’t make a difference if you are getting enough nutrients if they are all being absorbed by phytic acid. According to Price, eating the proper diet may actually regrow teeth with cavities. The main focus of this diet is eating foods loaded with key nutrients. These nutrients are not only vital for the teeth, but for the body as a whole, as well as the NEM stress response. Also, consider adding these foods to your diet as well. Magnesium, which is required to use both calcium and phosphorous effectively. Fermented cod liver oil. This is very high in the fat-soluble vitamins A, D, and K.
Gelatin. If bone broth is not your thing, gelatin is a good alternative and can be great for both the gums and digestion. The focus on these animal products is due to the high concentrations of the vital nutrients which are often lacking in most diets. These foods are rich in minerals and vitamins necessary to grow enamel back on teeth with cavities. In addition to adding those foods, you should limit the foods which are high in phytic acid including grains, nuts, beans, and seeds. When possible sprout, soak or ferment all of your grains, legumes, and beans to lower the levels of phytic acid they contain. Also, avoid heavily processed foods like flours and sugars which upset the blood sugar levels. The NeuroEndoMetabolic Stress Response is a network of six overlapping circuits. Each of these circuits responds to stress whether that stress is internal or external. The six circuits of the NEM are broken down into two groups: the Neuroendocrine group and the Metabolism group. The three circuits of the Metabolism circuit are inflammation, detoxification, and metabolism. The three circuits of the NeuroEndocrine are the hormonal, cardionomic, and neuroaffect. Each of these six circuits depends on the proper function of one another in order to function appropriately. Imbalances in the circuits of the NEM or overexposure to stress can cause disease in the body. Key among these illnesses is Adrenal Fatigue Syndrome (AFS). The adrenal glands, which are responsible for the “flight or fight” response, can become overworked. The key cause of this fatigue is stress. Eating a proper diet and avoiding stress are vital to reversing cavities and the effects of AFS alike. The vitamins and minerals necessary for regrowing teeth are also necessary for the proper function of each of the six NEM circuits. The diet recommendations for regrowing teeth are similar to other diets which are recommended for those looking to alleviate and even reverse the effects of AFS. The major idea in almost any diet is to avoid processed foods, instead opting for whole foods as often as possible. 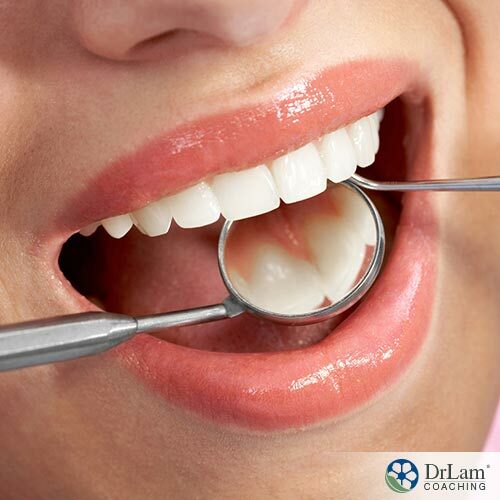 The Mediterranean or paleo diets are most similar to the diet recommendations for repairing cavities. However, the diet for healing teeth is much more focused on nutrient-dense animal products like animal organs and bone broths, on top of eating a whole-foods-based diet. Though too much animal protein can stress out the NEM stress response, for short periods of time some individuals may benefit from an animal-protein-rich diet. Adding foods dense in fat-soluble vitamins can also be toxic. Fat-soluble vitamins, unlike water-soluble vitamins, can build up in the body and lead to toxic levels of vitamins A, D, E, and K. So you must be mindful to not overdo it with animal foods like organs and bone broth. Consuming too many fat-soluble vitamins can do a lot of damage to your body, especially the detoxification circuit. Plaque is the byproduct of tooth decay, and not only is it bad for oral health, it can impact parts of the NEM stress response as well. One of the most devastating effects of plaque is its effect on the cardionomic circuit of the NEM. While it is a different kind of plaque that builds up in the heart and arteries and can cause heart attacks, the inflammation caused by dental plaque plays a well-known role in deteriorating heart health. Furthermore, decaying teeth can lead to other complications such as eye damage and brain infections. If you experience tooth pain you should definitely visit the dentist. If the infection begins to cause pressure on the face or eyes, you should likely get antibiotics immediately. Do not let tooth decay go farther than it has to. Though it is generally slow, it can have devastating consequences on your whole body if left unchecked. Cavities can cause a lot of pain, but fortunately, there are several natural solutions. Clove, cinnamon, and oregano essential oils can have a positive impact on tooth pain. Always check with your dentist or doctor before applying these oils to a child’s mouth. Children can have more sensitive skin, and undiluted essential oils can cause burns. Try diluting these essential oils to 1 to 7 ratio, with one drop of the essential oil and 7 of a carrier oil (coconut, olive, or sesame). Be sure that the essential oil is pure and preferably organic. This is perhaps the most popular essential oil for alleviating tooth pain. Clove oil has a natural numbing effect on the teeth, and in many circumstances can completely stop tooth pain, at least temporarily. Clove oil can be applied using a q-tip directly to the painful area. Cinnamon oil, is very similar to clove, but it has more of a pain-killing effect rather than numbing. Cinnamon oil is also heavily anti-bacterial and can help fight plaque. This is the strongest of the 3 essential oils. If you do not dilute oregano oil, IT WILL BURN. Though the burn is not generally too bad, it can hurt. Some people like the burn – it lets you know it is working. Oregano oil has the strongest effects of all the oils. It will obliterate any bacteria it comes in contact with and numbs the nerve of the tooth in most cases. Brushing your teeth regularly at least once a day is the most well-known mouth care technique, but a few other practices can aid your dental health as well. Besides brushing your teeth, using a mouthwash can be an effective way to keep your teeth clean. There are many natural types of mouthwash that include ingredients for dental health such as hydrogen peroxide, colloidal silver, and iodine. Each of these ingredients is a powerful cleaning agent that can not only eliminate bacteria but can also whiten your teeth. Many of natural mouthwashes also include powerful herbal concoctions which can really keep your teeth healthy and remove those pesky hidden bits of food that you missed with the toothbrush. This underrated healing agent can have amazing benefits for many aspects of your health. One of the more recent discoveries about ozone is its ability to promote dental hygiene. In high enough concentrations, ozone literally pulls bacteria apart. Though ozone has many health benefits, one way it is useful is as an antibiotic in the mouth. In fact, dentists are also beginning to implement this awesome molecule in their own practices. For more information on ozone and oral health check out this study. Oil pulling simply involves swishing an oil around in your mouth. This is typically done with coconut oil. 10-15 minutes of swishing coconut oil around in your mouth can fight off bacteria and stimulate your teeth’s natural ability to clean themselves. Many people swear by this practice. Spit the oil out in the trash when you are done (it will clog your sink).